The Universities and Colleges Admissions Service (UCAS) today released figures showing applications to higher education courses at UK higher and further education institutions at 30 June 2010. The current figures show an 11.6% rise in applicants to study compared to last year, with much higher demand in some subjects. The increase in demand for 2010 entry has levelled out since earlier in the year, having reached almost 23% in January. Some of this bulge in student choices is accounted for by changes to application routes for Art & Design and Nursing. “Though demand has dropped from the even higher levels it had reached in January, application figures at this stage in the cycle still give a clear indication of the popularity of higher education. Even with the system changes accepted, there can be no doubt about the high demand for courses crucial for social benefit or economic change such as in Creative or Health-based subjects. “There is still not enough public discussion of the positive diversity of opportunities already available across higher education providers. Applicants looking for professional and vocational opportunities should be part of Vince Cable’s vision for economic growth and skills. These applicants will find that a large and growing number of institutions providing higher education, including for a long time GuildHE institutions, already have these at the heart of their mission. However, some institutions have had to close courses to applicants in important areas of skills-growth because they are not permitted to admit more students without picking up financial penalties. 1. 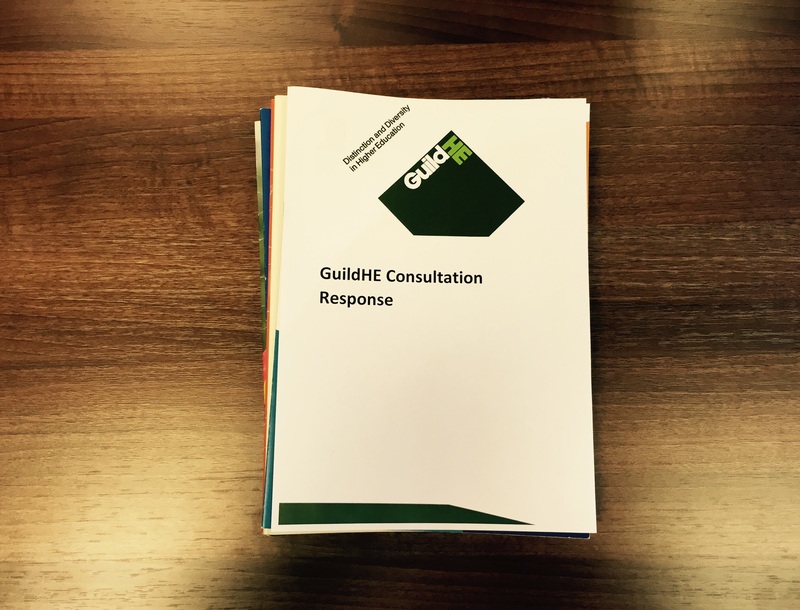 GuildHE is a recognised representative organisation within the higher education sector.